10 B None No Power Seat 10 B is a standard Economy Class seat. All B seats may have a video entertainment box underneath the seat in front, limiting the legroom. 10 D None No Power Seat 10 D does not recline due to the exit row behind. 10 E None No Power Seat 10 E does not recline due to the exit row behind. All E seats may have a video entertainment box underneath the seat in front, limiting the legroom. 10 F None No Power Seat 10 F does not recline due to the exit row behind. 11 B None No Power Seat 11 B does not recline due to the exit row behind. All B seats may have a video entertainment box underneath the seat in front, limiting the legroom. 11 D None No Power Seat 11 D is an Economy Class Exit Row seat that does not recline. There is no floor storage during takeoff and landing. However, since there is no third seat, this seat is preferred by passengers traveling in a couple. 11 E None No Power Seat 11 E is an Economy Class Exit Row seat that does not recline. There is no floor storage during takeoff and landing. However, since there is no third seat, this seat is preferred by passengers traveling in a couple. 12 A None No Power Seat 12 A is a standard Economy Class seat that has extra legroom due to the exit row ahead. The tray table is in the armrest, making the armrest immovable and slightly reducing seat width. There is no floor storage during takeoff and landing. 12 B None No Power Seat 12 B is a standard Economy Class seat that has extra legroom due to the exit row ahead. The tray table is in the armrest, making the armrest immovable and slightly reducing seat width. There is no floor storage during takeoff and landing. 12 C None No Power Seat 12 C is a standard Economy Class seat that has extra legroom due to the exit row ahead. The tray table is in the armrest, making the armrest immovable and slightly reducing seat width. There is no floor storage during takeoff and landing. 12 E None No Power Seat 12 E is a standard Economy Class seat. All E seats may have a video entertainment box underneath the seat in front, limiting the legroom. 12 F None No Power Seat 12 F is a standard Economy seat that has extra legroom due to the absence of the seat ahead. The tray table is in the armrest, making the armrest immovable and slightly reducing seat width. 13 B None No Power Seat 13 B is a standard Economy Class seat. All B seats may have a video entertainment box underneath the seat in front, limiting the legroom. 13 E None No Power Seat 13 E is a standard Economy Class seat. All E seats may have a video entertainment box underneath the seat in front, limiting the legroom. 14 B None No Power Seat 14 B is a standard Economy Class seat. All B seats may have a video entertainment box underneath the seat in front, limiting the legroom. 14 E None No Power Seat 14 E is a standard Economy Class seat. All E seats may have a video entertainment box underneath the seat in front, limiting the legroom. 15 B None No Power Seat 15 B is a standard Economy Class seat. All B seats may have a video entertainment box underneath the seat in front, limiting the legroom. 15 E None No Power Seat 15 E is a standard Economy Class seat. All E seats may have a video entertainment box underneath the seat in front, limiting the legroom. 16 B None No Power Seat 16 B is a standard Economy Class seat. All B seats may have a video entertainment box underneath the seat in front, limiting the legroom. 16 E None No Power Seat 16 E is a standard Economy Class seat. All E seats may have a video entertainment box underneath the seat in front, limiting the legroom. 17 B None No Power Seat 17 B is a standard Economy Class seat. All B seats may have a video entertainment box underneath the seat in front, limiting the legroom. 17 E None No Power Seat 17 E is a standard Economy Class seat. All E seats may have a video entertainment box underneath the seat in front, limiting the legroom. 18 B None No Power Seat 18 B is a standard Economy Class seat. All B seats may have a video entertainment box underneath the seat in front, limiting the legroom. 18 E None No Power Seat 18 E is a standard Economy Class seat. All E seats may have a video entertainment box underneath the seat in front, limiting the legroom. 19 B None No Power Seat 19 B is a standard Economy Class seat. All B seats may have a video entertainment box underneath the seat in front, limiting the legroom. 19 E None No Power Seat 19 E is a standard Economy Class seat. All E seats may have a video entertainment box underneath the seat in front, limiting the legroom. 2 A None No Power Seat 2 A is an Economy Plus seat, having a 4-8 inches higher pitch than the standard Economy Class seats. This seat may have limited legroom due to the positioning of the bulkhead. The tray table is in the armrest, making the armrest immovable and slightly reducing seat width. The proximity to the lavatory and galley may be bothersome. There is no floor storage during takeoff and landing. 2 C None No Power Seat 2 C is an Economy Plus seat, having a 4-8 inches higher pitch than the standard Economy Class seats. This seat may have limited legroom due to the positioning of the bulkhead. The tray table is in the armrest, making the armrest immovable and slightly reducing seat width. The proximity to the lavatory and galley may be bothersome. There is no floor storage during takeoff and landing. 2 D None No Power Seat 2 D is a standard Economy Plus seat. The Economy Plus seats have a 4-8 inches higher pitch than the standard Economy Class seats. 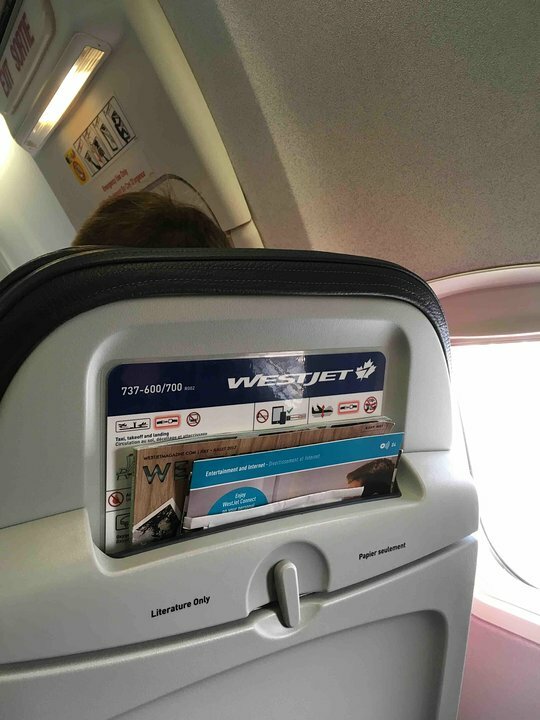 On select flights, WestJet reserves these seats, making them non-bookable to the general public. 20 B None No Power Seat 20 B is a standard Economy Class seat. All B seats may have a video entertainment box underneath the seat in front, limiting the legroom. 20 E None No Power Seat 20 E is a standard Economy Class seat. All E seats may have a video entertainment box underneath the seat in front, limiting the legroom. 21 B None No Power Seat 21 B is a standard Economy Class seat. All B seats may have a video entertainment box underneath the seat in front, limiting the legroom. 21 E None No Power Seat 21 E is a standard Economy Class seat. All E seats may have a video entertainment box underneath the seat in front, limiting the legroom. 22 B None No Power Seat 22 B is a standard Economy Class seat. All B seats may have a video entertainment box underneath the seat in front, limiting the legroom. 22 E None No Power Seat 22 E is a standard Economy Class seat. All E seats may have a video entertainment box underneath the seat in front, limiting the legroom. 23 A None No Power Seat 23 A is in the last row of the plane. The proximity to the lavatory and galley may be bothersome. 23 B None No Power Seat 23 B is in the last row of the plane. The proximity to the lavatory and galley may be bothersome. All B seats may have a video entertainment box underneath the seat in front, limiting the legroom. 23 C None No Power Seat 23 C is in the last row of the plane. The proximity to the lavatory and galley may be bothersome. 23 E None No Power Seat 23 E is a standard Economy Class seat. All E seats may have a video entertainment box underneath the seat in front, limiting the legroom. 24 D None No Power Seat 24 D is in the last row of the plane. The proximity to the lavatory and galley may be bothersome. However, since there is no third seat, this seat is preferred by passengers traveling in a couple. 24 E None No Power Seat 24 E is in the last row of the plane. The proximity to the lavatory and galley may be bothersome. However, since there is no third seat, this seat is preferred by passengers traveling in a couple. All E seats may have a video entertainment box underneath the seat in front, limiting the legroom. 4 D None No Power Seat 4 D is an Economy Class seat with restricted legroom. 4 E None No Power Seat 4 E is an Economy Class seat with restricted legroom. 4 F None No Power Seat 4 F is an Economy Class seat with a misaligned window that has restricted legroom. 5 A None No Power Seat 5 A is an Economy Class seat with a misaligned window that has restricted legroom. 5 B None No Power Seat 5 B is an Economy Class seat with restricted legroom. 5 C None No Power Seat 5 C is an Economy Class seat with restricted legroom. 5 E None No Power Seat 5 E is a standard Economy Class seat. All E seats may have a video entertainment box underneath the seat in front, limiting the legroom. 6 B None No Power Seat 6 B is a standard Economy Class seat. All B seats may have a video entertainment box underneath the seat in front, limiting the legroom. 6 E None No Power Seat 6 E is a standard Economy Class seat. All E seats may have a video entertainment box underneath the seat in front, limiting the legroom. 7 B None No Power Seat 7 B is a standard Economy Class seat. All B seats may have a video entertainment box underneath the seat in front, limiting the legroom. 7 E None No Power Seat 7 E is a standard Economy Class seat. All E seats may have a video entertainment box underneath the seat in front, limiting the legroom. 8 B None No Power Seat 8 B is a standard Economy Class seat. All B seats may have a video entertainment box underneath the seat in front, limiting the legroom. 8 E None No Power Seat 8 E is a standard Economy Class seat. All E seats may have a video entertainment box underneath the seat in front, limiting the legroom. 9 B None No Power Seat 9 B is a standard Economy Class seat. All B seats may have a video entertainment box underneath the seat in front, limiting the legroom. 9 E None No Power Seat 9 E is a standard Economy Class seat. All E seats may have a video entertainment box underneath the seat in front, limiting the legroom. 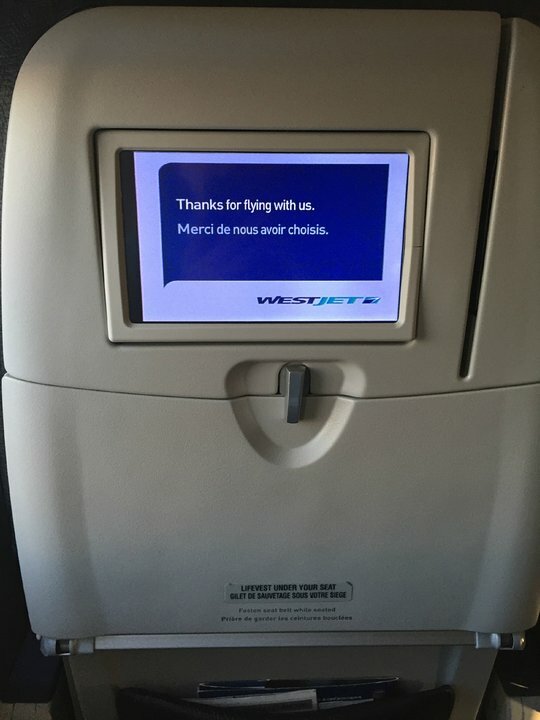 WestJet fleet of 737-600, 737-700, and 737-800 aircraft features leather seats and Personal TVs or Wireless Entertainment and Internet Connectivity. WestJet's B737-700 operates on short and medium-haul flights and has a 130 seats capacity. Not worth the extra $. Apparently they're discontinuing this old jet soon, not a surprise. No extra width - just a cardboard tray over the middle seat to ensure no one can sit there. A narrower list of food as compared with their menu - only 2 meals available out of about 5 listed. The TV monitors are crap - tiny, poor reception, apparently dependent on a Satellite feed. Only Basic Cable stations available, no premium movies, in spite of the credit card swipe next to the monitor (itself a dated feature - most airlines let you watch movies for free). And 1D is the worst seat in the 'premium' section - like another user said, you have a good view of people's butts as they stand on line for the toilet. Because they're getting rid of this jet soon, the flight attendant was not knowledgeable about the amenities - like, where you plug in the earbud for the TV stations; he had to search for it. The seat is as expected, and the window is in a decent position, but there is a black box underneath the seat in front (21A) that limits the amount of storage available to seat 22A. This airplane is really good and has cheap prices. The seats are kinda narrow but its ok and the legroom is pretty good. This website said i wouldnt have a window but it did have it and it was the seat in front that didnt. The legroom was pretty good, im 178 cm. Lots of legroom. Same width same as economy 17.5". Lots of elbow room. One annoyance is passengers who ignore attendant and line up in plus section for washroom. Food lousy. Drinks ok. Price good. Customer Service excellent. WestJet flight 720 YVR to YYZ - 25Feb18. Paid the extra $120 per seat to upgrade to Plus. Worth every penny. While there are still 3 seats the middle seat has tray in it - handy for storage. 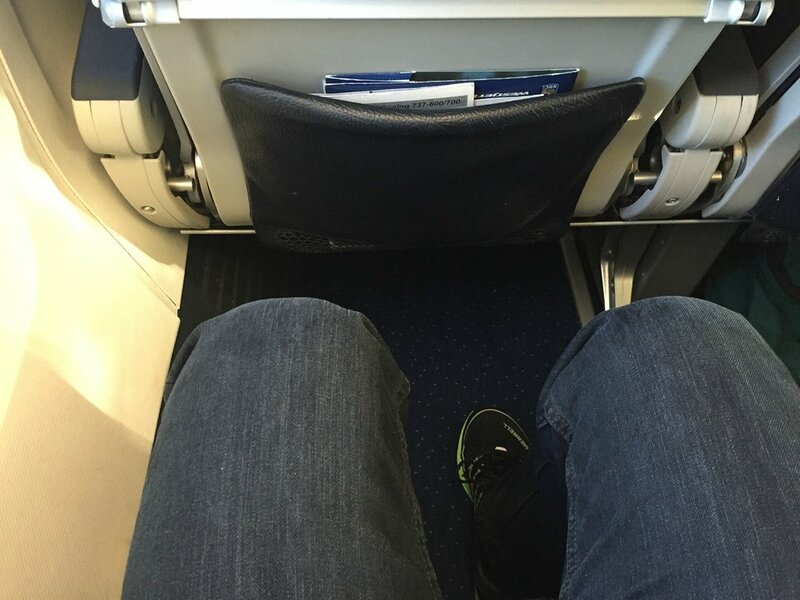 Leg room was also good. Food was adequate - service was good but the flight attendant was very surly - no smile, not once. 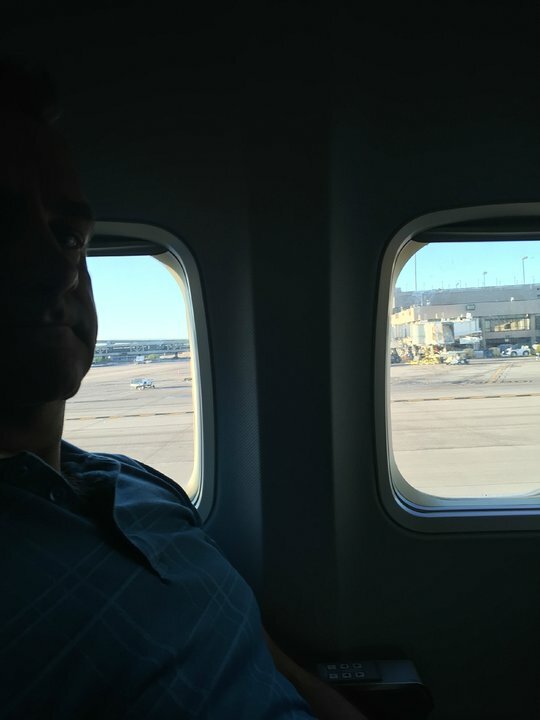 The plane seemed old and the seats were flat - little padding you sort of felt like you were slipping forward a bit. They use wifi and an App for the entertainment - it cut out quite a few times during the flight. Seat was very comfortable and spacious for economy. Noise of the 737 is rather low, and the overhead bins are obviously very spacious and easy to use (3 or 4 bags can go "straight" in, rather than horizontally). Screen in front of my seat was partially out of its socket, and strangely enough had a sticker with "Airbus A320" on it. Who knew they used the same IFE? Definitely a good seat. Flew February 2017. Bring your own tablet for entertainment plus noise isolation or cancelling ear buds or headphones. Rentals available. Content is free except internet. No musicjust movies and TV. Legroom was OK for 6'-3", but no arm/shoulder room. While the legroom and rable comments are correct, the right hand arm rest is just a short stop and uncomfortable. This seat,23C, is narrower than a standard seat. Additionaly, it has very little room for feet and under seat storage. I am 6foot one and my son is 6 foot 4. We were glad the flight was only an hour. 8b was a sardine can for foot space. We had better knee and foot space on westjet Q400 we had gotten out of on our connecting flight.Seats on this plane (#700) were old and thick leaving poor usable room for the seat pitch. Best $23 you can spend. Get exit 12a/b/c, and add VITAL legspace to your journey. This is the ONLY affordable premium seating in the back of the bus. I question Westjet's claim they offer 32" "pitch" on this ride. From what I saw, steerage class is squeezed into an Air Canada rouge style 29" pitch. I call for a Seat Guru official measurement. I don't trust the airlines' measuring tapes. We paid extra to have Plus seats. Having travelled on a WestJet Boeing 767, where the plus seats are actually wider, this seating on a 737-700 was extremely disappointing - there were actually the same 3 seats across as in Economy, with the middle seat filled up with a useless shelf-tray arrangement, so no extra elbow room. Plus, my seat was next to the aisle in the bulkhead row, so I continuously had people's rear-ends in my face while they waited to use the toilet. We had extra leg-room because of being at the bulkhead - as far as I could see, the Plus rows behind didn't have any more legroom than the rest of the plane. Don't bother paying the extra for the Plus seats. Seat cushion has less padding and seat does not recline anymore. Bad choice. This is a plus seat: window 4A. Although the middle seat is no longer being used, as of this posting, the new arm rest/drink holder has not been added. The seat offers a lot of legroom, but their is a bump extending on the left shoulder. Row 3 on either side would be a better choice. Purchased seat 6A that is an economy and was surprised to find quite a nice leg room , probably at least 32". However, for the four hours flight the seat didnt feel thet comfortable. There is a small tv that i could watch a movie abd satelite tv as well. You have access to two windows but the divider might be right in the way and makes viewing less enjoyable. Have this same seat on the same airline and type of plabe 737-700 but the tv screen was smaller and the leg room didnt feel to be as much . Overall good seat for a 5'8" like me. The Plus seats give you a bit more leg room but it remains quite crowded. Westjet attendant said that the Plus seats were like business class and while you got food and alcohol included in the additional price - the food was a sandwich. I am not sure that the seats are worth the extra cost. The screens for the entertainment system were not bright so difficult to watch and screen in very small. On good side, the staff were helpful and the plane left and arrived on time. A big improvement from my previous experiences with Westjet 15 years ago. West jet still is not my airline of choice. I was in row 2, paid over $150 more to get the Plus "perks"
. however seat width exact same as back of plane, legroom OK but not for price. No priority stickers put on your bags like other airlines in economy plus or business class. No curtain between sections for added privacy. Found out the 2 people beside me were given seats for free at check in. Not worth it! I heard they are removing the middle seat this Fall , which is a good idea , or make this real business class for those who want to pay for it! The in-flight entertainment is only available in Canadian airspace, i.e. for only around 2 hours of Halifax-Glasgow flight time unless you choose a pay-per-view film from a selection of only 4 films at $6.99. We brought books with us but found the overnight flight back to Glasgow long and boring, in very cramped seating, without something to watch. Recently paid the extra $50 for plus seating. I normally do this so that I can work on my laptop in-flight. My $50, however, was wasted in this instance. I bought seat 2B, right against the bulkhead. Lots of legroom was the only benefit. The space is narrower due to tapering. The inability to store my laptop with my (no underseat storage, as the map rightly mentions) meant that I had to put in additional effort to get to my laptop. Topping it off, the guy beside me kept elbowing me in the ribs, even after I told him to cut it out. Don't waste your money - this is not a Plus seat. Only pay for Plus if you can get a window or aisle in rows 3 or 4. Lot's of turbulence, light was not working and the vibration noise was kind of annoying. Otherwise my experience was good. The Plus seats are worth the much higher price IF there is nobody sitting next to you as ALL the seats are 17 inches and I really don't see the 36 pitch in the West Jet pitch--disappointed ! The plus seats are worth it! Roomy and comfortable. Paid 50.00 each way. I called WestJet to reserve the plus seats in advance and they replied with a ridiculous price of 900.00 round trip for 2. Booked via online check-in 24h prior to trip. This seat is small. Measured at 17" width. As well, the plane is starting to taper to the nose, so the sides limit your shoulder room. Awesome airplane to fly in! I recommend not sitting near the engines because it is very noisy during takeoff and landing Overall I give it a 8.5/10! The seat dips forward so that one does not sit comfortably. It is about one inch lower than the seat next to it. The armrest on the right window side is about 3 inches shorter than the one on the left, and is also lower by about an inch. I was disappointed in paying the extra cost. There is plenty of leg room in the other seats so the extra expense was not worth it. I found that all window seats in coach had the best room for your feet and lower storage. The way the seats are mounted, you actually have more room than the other 2 seats beside you. 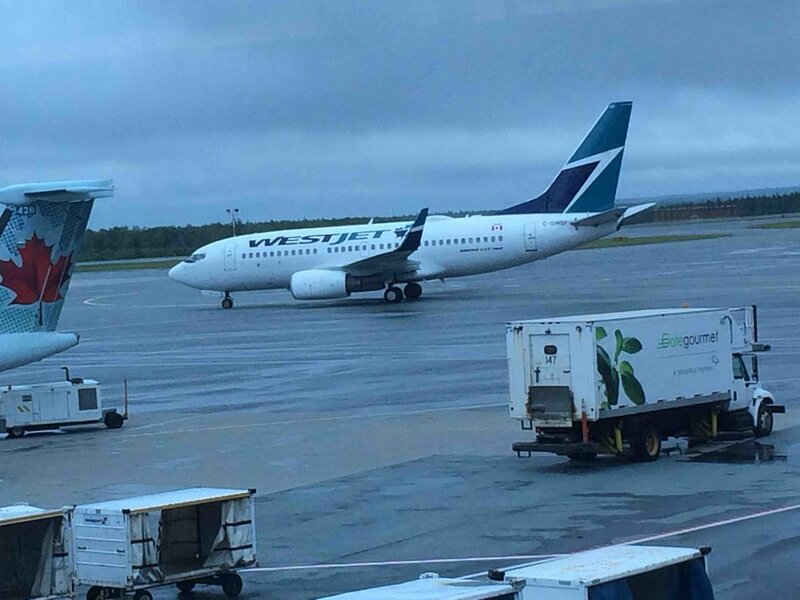 WestJet flies 1 versions of Boeing 737-700.